Keep in mind that the original Macintosh was the first mainstream computer to use a mouse and a graphical user interface. 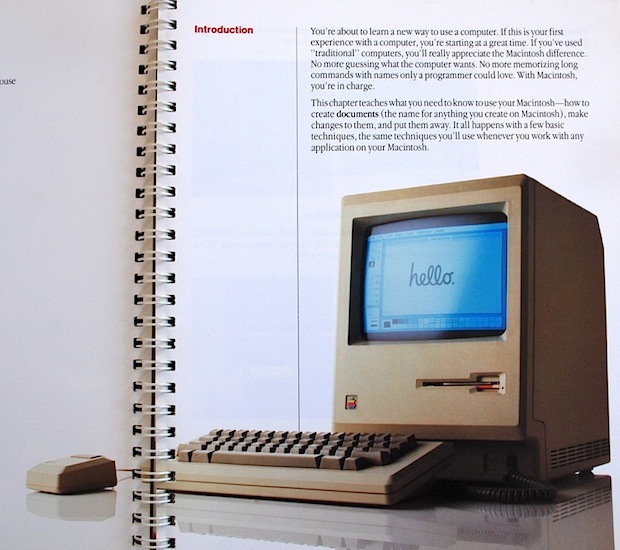 You can see some a few more pictures from the Macintosh User Manual below, but be sure to check out “Thoughts on (and pics of) the original Macintosh User Manual” for even more. Thanks for sending this in Terry! These are basically collectors items now. I don’t have any of my old Macs or manuals anymore, wish I kept them! 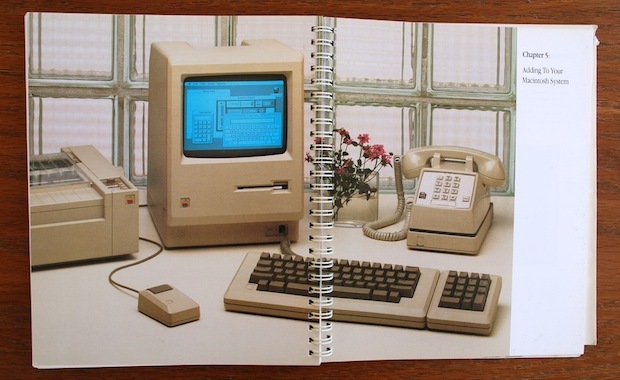 Do you still have the original Mac owners manual? Ah, 1987. When a Mac SE with dual floppy drives cost $2,500.00. Though the Mac wasn’t the first computer to use a mouse and keyboard. The article didn’t say that the Mac was the first to use a mouse and keyboard, only that it was the first mainstream computer. 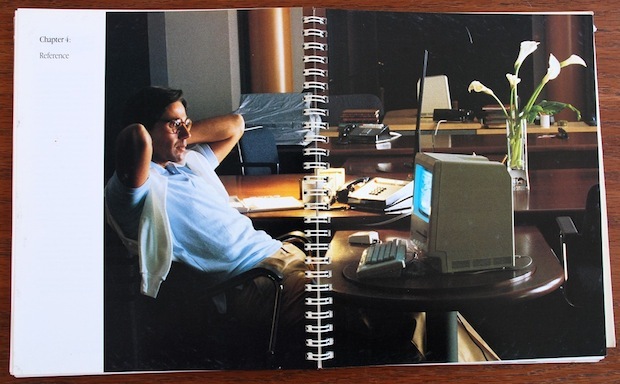 The LISA was marketed to corporate users, and the Xerox wasn’t really mainstream, either. The Mac was not the first computer was NOT the first computer with a GUI and a mouse. It wasn’t even the first computer from Apple with a GUI and mouse. 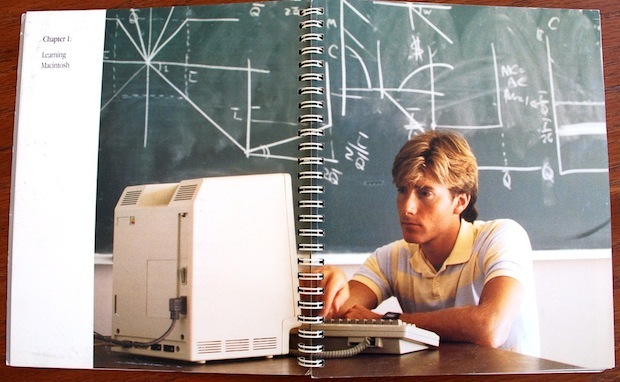 Apple’s “Lisa” computer predates the Mac. The Xerox Star and Xerox Bravo workstations were GUI workstations with mice, that predate both the Mac and Lisa. the Xerox Alto was the first GUI and 3 button mouse in 1973. Xerox Bravo was the first WYSIWYG document preparation program. Then in 1981 came the Xerox Star.